The late, great Douglas Adams once wrote "You've got to know where your towel is." And I do. 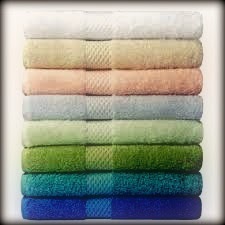 In fact, for the past few years I have known where every towel in the house is at any given time. Several would be reclining damply across the bathroom floor, Several more curled, like sleeping (damp) cats, across the TeenTwins' bedroom floor. Thirty six of them would have been used once and dropped in the wash basket. Or, more accurately, on top of the wash basket. The bathroom floor was the battlefield on which towels did not come to die, but dyed brutally nevertheless. Or else they succumbed, tattered and suddenly pale, to the peroxide chemical warfare mercilessly unleashed in the quest for red hair. Or blue hair. Or green. I tried my best. Tended the limp, picked up the lame, Washed them and dried them and then, Douglas forgive me, sent them back to the fray. With the departure to university of the TeenTwins, with a whole pile of new, soft and fluffy towels each, obviously, I dared to entertain hopes that for the first time in years I might be able to walk across the bathroom floor unimpeded by saddened, damp towel debris underfoot. I didn't entertain those hopes for long though. The 13 year old is a new Teen, but is just like the old Teens. Within what seemed like minutes of the TeenTwins vacating the premises, she was strewing towels around the place with as much abandon as they ever did and more. Even the piano has suddenly been called upon to play a pivotal, if inexplicable, role as a towel rack. But at least The Boy isn't following in his sisters' reign of towel terror. Oh no. He much prefers to gallop naked around the house after a bath eschewing the use of any towels at all. Love this! Really made me laugh. Although obviously don't love that you have to put up with this towel nonsense. You just described my own personal towel battle to a tea! Thank you got sharing my pain and letting me know in not alone in this ever increasing war on the laundry pile.